Based in Wragby, covering Market Rasen, Lincolnshire and the surrounding areas. Have a problem with your Vehicle’s air conditioning? The experts at Kevin Green Vehicle Air Conditioning Services are your number one stop for vehicle air conditioning in Wragby. Not sure why your vehicle’s warning light is on? Don’t worry, we’ll figure it out! 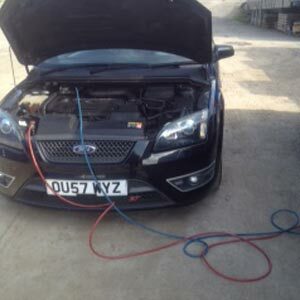 Using the latest car diagnostic software, at Kevin Green Vehicle Air Conditioning Services, we can ascertain any problems your vehicle may be having. This will help in rectifying any issues before they become even more complicated. Our diagnostics equipment finds faults with systems such as your car’s anti-lock braking system, safety restraint systems and electric power steering, so don’t hesitate any further and get in touch with us to book a diagnostic check and let us make sure your car or vehicle is in good working condition. If you think your air conditioning is not working to its optimum level, get help from the specialists at Kevin Green Vehicle Air Conditioning Services today. At Kevin Green Vehicle Air Conditioning Services, we have the skills and equipment necessary to assure you of an air conditioning system in your car that is working perfectly. We can serve anywhere in Wragby and within a 30 mile radius. If the smooth running of your vehicle is key to staying on top of your day to day workload get in touch with us today. Market Rasen, Wragby and everywhere within a 30 mile radius.